Over several centuries, the Serer of the Siin region of Senegal developed a complex system of land tenure that resulted in a stable rural society, productive agriculture, and a well-managed ecosystem. 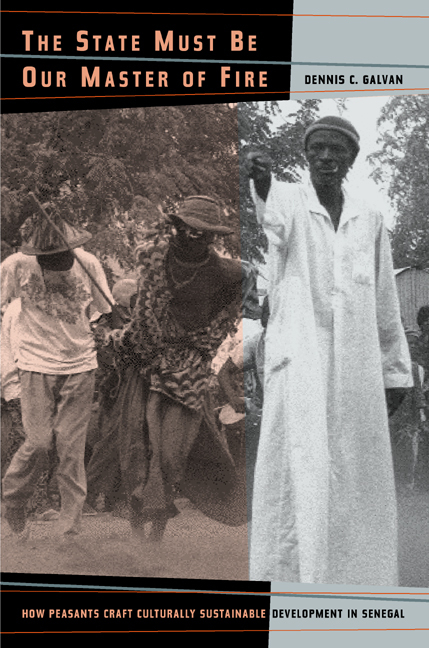 Dennis Galvan tells the story of what happened when French colonial rulers, and later the government of the newly independent Senegal, imposed new systems of land tenure and cultivation on the Serer of Siin. Galvan's book is a painstaking and skillful autopsy of ruinous Western-style "rational" economic development policy forced upon a fragile, yet self-sustaining, society. It is also a disquieting demonstration of the general folly of such an approach and an attempt to articulate a better, more sensitive, and ultimately more productive model for change—a model Galvan calls "institutional syncretism." Dennis C. Galvan is Associate Professor of Political Science and International Studies at the University of Oregon. 2. The Serer of Siin: "Le type même du paysan africain"